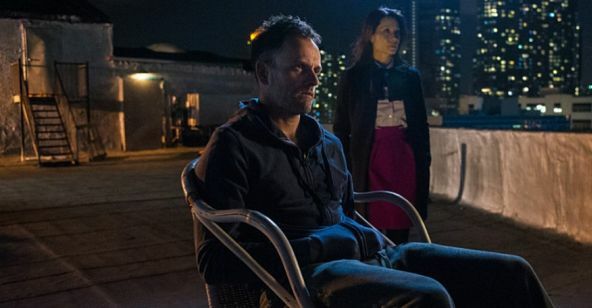 CBS’ Elementary has taken the classic Sherlock Holmes canon in some interesting directions over the last three seasons. We’ve seen classic characters re-imagined and original characters taking prominent roles. One character has been looming over the series since the beginning but has yet to make an appearance on screen, but that will change in the fall when Sherlock’s father arrives in New York, and when he does he’s going to look an awful lot like Walter Bishop. Yesterday, CBS announced that former Fringe star John Noble will play Sherlock’s father when the show returns for Season 4. Fans of Noble will also be happy to know that his character will be a series regular. No guest spots for this guy. Noble was most recently seen on Sleepy Hollow, but he left that series last season. Sherlock’s father has been part of the series since day one, as it was he who hired Lucy Liu’s Joan Watson as a sober companion for the just-out-of-rehab Sherlock, played by Jonny Lee Miller, in the show’s pilot episode. Since then, he’s been mentioned a number of times but has yet to be heard or seen. It’s clear that Sherlock and his father don’t get along, though exactly why is unknown. Spoiler warning for the Season 3 ending. We knew that we’d likely see the character at the beginning of the new season, as Season 3 ended with Watson informing the relapsed Holmes that his father was on the way. It was a fairly depressing end to the season to see our hero in such a state. The series regular role means that we’ll likely get most of our questions answered about dad’s relationship with his son. Will the antagonistic relationship make Holmes’ recovery more difficult, or will it turn out that Mr. Holmes truly cares for his son after all? Between Fringe and Sleepy Hollow, we’ve seen John Noble play harmless, brilliant, and psychotic. He’s got the range to put the father of Sherlock anywhere on the spectrum. While Elementary has never strayed away from radical new interpretations of classic Conan Doyle characters - Irene Adler for example - they have absolute free rein as far as Mr. Holmes is concerned. The only member of Sherlock’s family we ever meet in the original stories is his brother Mycroft, who has made a few appearances on the show. Sherlock’s father is never even mentioned by Conan Doyle. Elementary Season 3 ended in a pretty dark place for Sherlock Holmes. 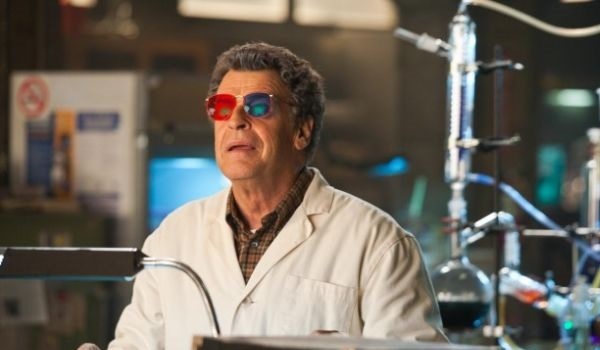 Whether John Noble’s character will make things better or worse for the detective remains to be seen, but it will certainly make things better for fans. Season 4 will premiere on CBS this fall.